Looking past the ridiculous comb over and pompous attitude, Trump might have what it takes to win the election. 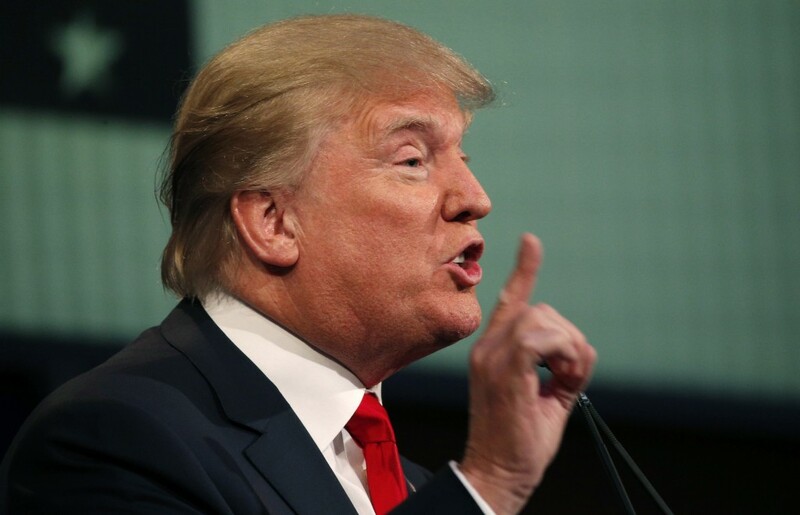 One of the front-runners in the upcoming presidential election is Donald Trump. According to CNN, he currently holds 32 percent of the vote for Republicans, surpassing the second-place runner, Ben Carson, by 13 points. With all of the negative publicity in Trump’s honor, how is he still pulling ahead in the polls? Any publicity is good publicity. The fact that Trump has his name all over the media — whether positive or negative — garners him a lot of attention. In many ways, a presidential election is a larger version of a high school homecoming election: a popularity contest for undecided or uninformed voters. Because Trump has been a household name for the last 15 years or so, everyone knows him, and he doesn’t have to get his name out there like many other candidates. The only other candidate getting as much media attention, both good and bad, is Hillary Clinton. When it comes to the issues, Trump’s biggest asset is his history. He holds an economics degree — a promising asset, considering the growing problem of our nation’s economy. He has been extremely successful in business since 1980 and has built his companies up from nothing on multiple occasions. That resonates with the voters who worry about the ever-increasing national debt and spending deficit. An economic tactic he proposed back in 1999 was a one-time 14.25% tax on wealth over 10 million dollars to raise a 5 trillion or more dollar dent in the deficit. This sounds great to the 99.997% of Americans that aren’t directly affected and horrible to the small percentage it affects. Who wants to pay to keep their money? The Internet has given Trump a lot of flak for his stance on undocumented immigrants, and his proposed solution of building a wall across the border and deporting every one they can find. While many Americans believe that undocumented immigration is a problem, a much smaller percentage agree with Trump’s proposed solution. With all of the press surrounding Trump, his renown is going through the roof. His numbers continue to rise. Even with plenty of controversial issues and tactics proposed by Trump, people still find reasons, like his economics policy, to support him. Trump may win the GOP nomination because of this. After all, they will need someone just as crazy as Hillary Clinton to run against her. Josh White is a junior business major. This letter reflects the opinion of the author only and does not necessarily reflect the view of the university or The Huntingtonian. All letters to the editor can be submitted to huntingtoniandesign@gmail.com.